The end of the school year is upon us — some of my readers’ kids have less than a week to go, while my own kids are still going to be going on end of year field trips participating in random “fun” activities to fill time learning for another 24 days (not that I’m counting). And even for a lunch-packing pro like me, it’s all getting just a liiiiiittle bit old at this point. Lately, there are more days than not when I feel like I’m pulling lunches from the depths of the pantry and the BOTTOM OF MY VERY SOUL. I can’t be the only one who’s slogging through. So here’s my advice: Make it as easy on yourself as possible. At this point, the slew of calendar reminders about end-of-year celebratory hoopla, the endless parade of permission slips, and the frantic year-end bookkeeping/financial donation/class party/etc. needs are about all any of us can possibly keep up with. Lunch doesn’t need to be more than a breezy afterthought. After all, we’ve been feeding these kids really well all year. A quick — but still wholesome — desperation lunch, or two, or four, won’t hurt. 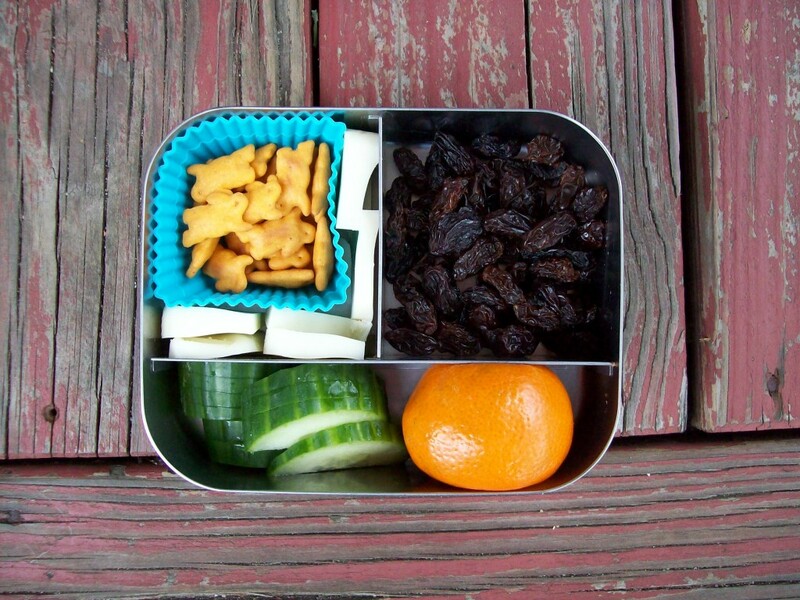 And if you’re like me, and you’ll have to gear right back up for summer camp lunches, it may just be the respite you need to save your sanity. No kidding, this is a lifesaver (and also a really great option for school snacktimes). You don’t need any special equipment, so if you don’t already own one of those nifty cereal-on-top, milk-in-bottom containers that’s marketed exclusively for cereal on the go, don’t buy one. Just grab a thermos, fill it about halfway with milk, and screw on the cap. 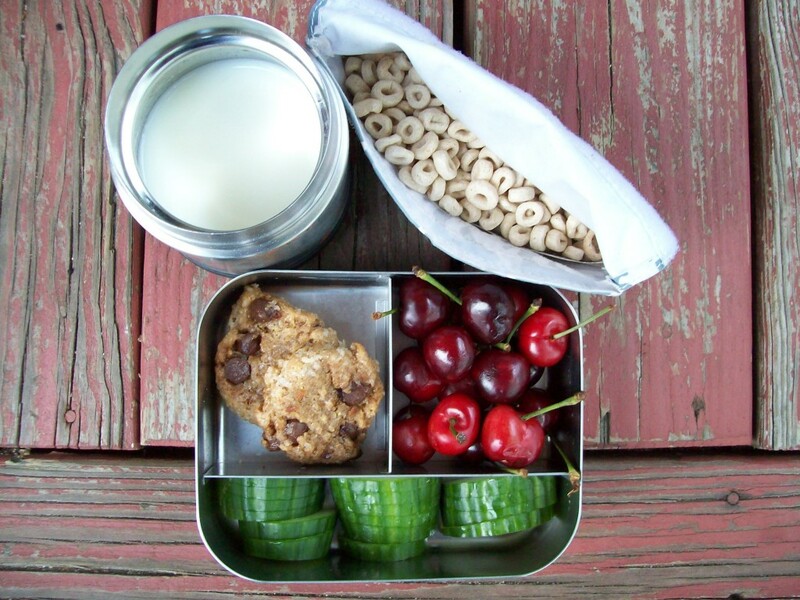 Then fill a little container or baggie or whatever (we use a reusable LunchSkins bag) with cereal. Voila. At lunchtime, kid pours cereal into milk and eats it. Bonus points for being together enough to remember to throw in a spoon. Yeah, I know, some of us probably pack this regularly, but for those who don’t — why not? Listen, it doesn’t even have to be nicely sliced cheese or pretty cubes or ANYTHING. Got some deli slices hanging around? Break ’em in halves or fourths and throw ’em in. Cheese stick? FINE. Maybe you’re fancy and you’ve got those individually wrapped little snack portions of cheddar or spreadable wedges or babybels or whatever. All cheese. All good. And as far as the crackers go, who am I to judge? You don’t have to make a mini-cocktail party for your kid. If all you’ve got on hand are some cheddar bunnies or even pretzel sticks, go for it. It’s the end of school. If you’re still getting the laundry done and all the forms signed on time, you’re a rock star. 3. 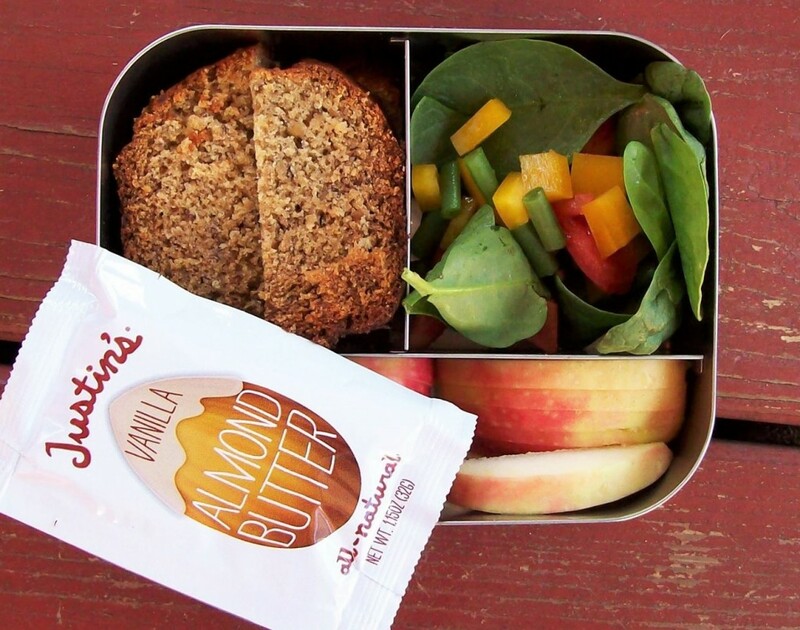 Nut butter packet and fruit. It doesn’t have to be a packet and it doesn’t have to be nut butter if seed butter works better for you, but you get where I’m going with this. Pretty much, I’m just trying to save you from having to wash a knife or spoon. Also, if you’re not allowed either nut OR seed butters, they sell little individual cream cheese tubs now — maybe your kid would like one of those. Point is, throw a pre-packaged spreadable protein in there, and then a handful of strawberries or some apple slices and maybe some raisins or something. Don’t stress about presentation. I absolve you. Yup, you’re fancy. It’s a PARFAIT BAR. Really what we’re talking about is a portion of yogurt (up to you whether you go for the pre-packaged cups or you scoop your own), plus some fruit, granola, nuts, seeds, and/or dry cereal for mixing in. Kids love this kind of thing, especially if you tell them they get to be their own chef/mad scientist and control what goes into their frankenyogurt. IT’S EDUCATIONAL. 5. Whatever they can pack for themselves! At a certain point, it may be wise to just step away altogether. Hand the lunch containers to your kid and say “Have at it!” I don’t recommend doing this in the morning, when you’re all rushed to get out the door — but the night before, I’m willing to bet that a lot of kids would do even a slightly better job than we burned-out parents would at this stage of the game. Unless they’re packing an all-dessert buffet, resist the urge to comment, and just tell yourself that they’re learning independence skills, which is true. Happy end of school to all!